Mr Justice Ryder's fourth update on the progress of the Family Justice Modernisation Programme has been published. In a change to the format of his previous updates, this one comprises "the bones of a speech" which he "made recently to colleagues in the Family Justice System". "During the course of the next year I expect to see the launch of a new court of record: the Family Court, to replace the Family Proceedings Court, the family jurisdiction of the County Court and the general family work heard by High Court Judges... 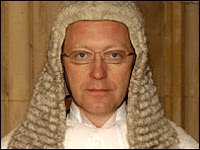 The new Family Court will for the ﬁrst time bring together all judges and magistrates exercising family jurisdiction into one court across England and Wales"
"The system is able to monitor the progress of cases which the judiciary decide can and should be completed within 26 weeks and where that is not in the interests of the child concerned it will monitor the progress of the timetable for the child which is set by the court. It will record all adjournments, use of experts and the reasons for the same." 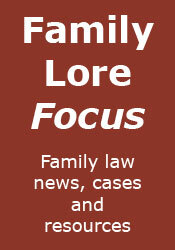 "For the ﬁrst time the family courts will have a record of baseline information so as to understand where public law cases are allocated and what is the consequence in terms of delay of the case management decisions that are made"
The speech also talks about the good practice "pathways" that were mentioned in the third update, about "a project to identify the court’s expectations of unrepresented parties and vice versa so that cases involving unrepresented parties are not unfairly prejudiced in terms of their process" and about a project looking at private law reforms, once Government intentions in this area are clear.